No prizes for guessing who is who. The max I can fit into a family is 8. XD That's awesome. You rock. The Horizon family is dead because while saving, it crashed and corrupted the file xD; so it didnt save the family. Until next time I procrastinate.. Awesome! I like to convert characters into different games as well! 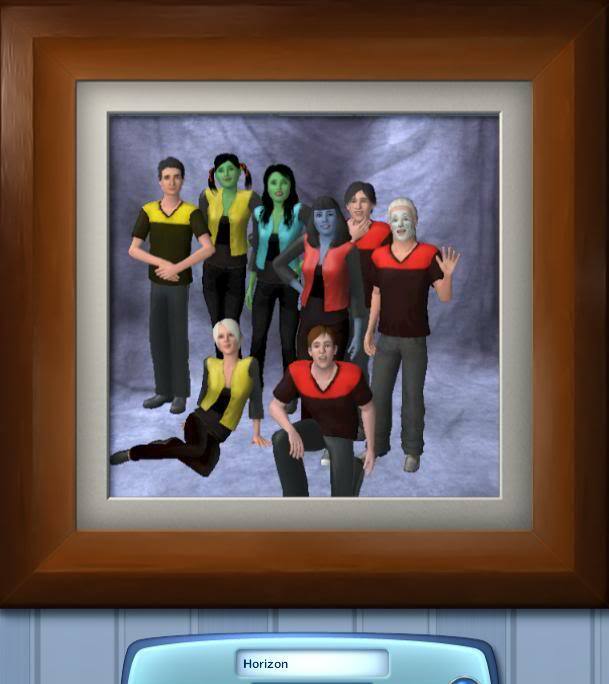 Did you use The Sims 2 or The Sims 3? XD I love that picture. And lol Nar and Ami.